Not to panic any fans in Dallas, but if the franchise’s roller-coaster history is any guide, the coming decade could be a tough one for the Mavs. The Dallas Mavericks have been inexistence for exactly 30 years. In that time, the Mavs have amassed a near-.500 record (.497 winning percentage), made 16 trips to the playoffs, three to the conference finals and came within four and a half quarters of winning the 2006 title. After a somewhat predictable 15-win debut season in 1980-81, the Mavericks improved their win total in six of the next seven seasons. The only time they failed to improve was between consecutive 44-win seasons in 1984-85 and 1985-86. In just their fourth season, the Mavs posted an over-.500 record, reached the playoffs and knocked off a talented Seattle Supersonics team (featuring Jack Sikma, Gus Williams and Tom Chambers) in the opening round, before falling to the eventual Western Conference champion Lakers. That 1983-84 season kicked off an outstanding run for the Mavs, one which saw them reach the playoffs in five of the next seasons (in 1988-89 they missed out by one game), falling twice to the Showtime Lakers- in six games in the 1986 West Semifinals and pushing the eventual champs to the limit in the 1988 conference finals, before going down in seven games. And those teams were built organically. 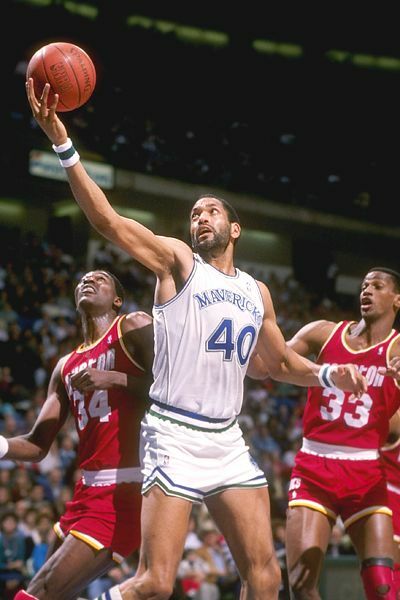 The Mavericks drafted each of the top seven scorers on the 1987-88, and four of the top five in 1989-90, and the fifth guy, Adrian Dantley, was acquired the previous season, in exchange for Mark Aguirre. In the first or second round of their first seven drafts, the Mavericks selected Kiki Vandeweghe (refused to play for the team and was dealt), Mark Aguirre, Rolando Blackman, Derek Harper, Dale Ellis and Sam Perkins (sure Charles Barkley went next, but still! ), Detlef Schrempf, Roy Tarpley (man was he good!) and Mark Price (traded to Cleveland on draft day). Not bad, huh? Especially considering they totally whiffed on the 1982 draft. However, this is also a franchise that turned in a decade of awe-inspiring ineptitude in the 1990s- in which the team managed more than 28 wins once in nine years and managed a total of just 24 wins in the 1992-93 and 1993-94 seasons combined. And then came Mark Cuban. A brilliant investor and businessman who made (and actually kept!) billions during the internet bubble. As much as any owner ever, Cuban’s left an indelible mark on the NBA in his time with the Mavs, sparing no expense to build a sustainable winner, all the while acting the way any fan given the opportunity to buy his favorite team would act. Sure he gave up too early on Nash and grossly overpaid Erick Dampier, but the transformation undergone by the Mavericks under Mark Cuban has been nothing short of exceptional. Seldom have the Mavericks been middle-of-the-road. In three decades, the franchise has gone from expansion team, to young, loaded contender, to comically inept, to young, loaded and extremely well-funded contender (thanks Cubes! ), to aging, well-funded sorta contender. This is a franchise that didn’t take long to become competitive and has been good a lot more often than it’s been bad. But the bad times have been BAD. Given the pattern of the 1980s (upswing), 1990s (gutter) and 2000s (outstanding), and with Dirk in the latter half of his Hall-of-Fame career, the coming decade in Big D could see things get worse before they get better. On the bright side, Mavs fans, no need to get down. Any fan base with a highly intelligent, hopelessly dedicated multi-billionaire owner will never be that bad of shape. A team doesn’t absolutely need a stud at the point to be competitive, but it certainly helps. This is a pretty impressive group- no superstars, but a bunch of guys ranging from good to very good. It’s really hard to argue against Steve Nash’s accomplishments in Dallas, both statistically and in terms of significance to the franchise. 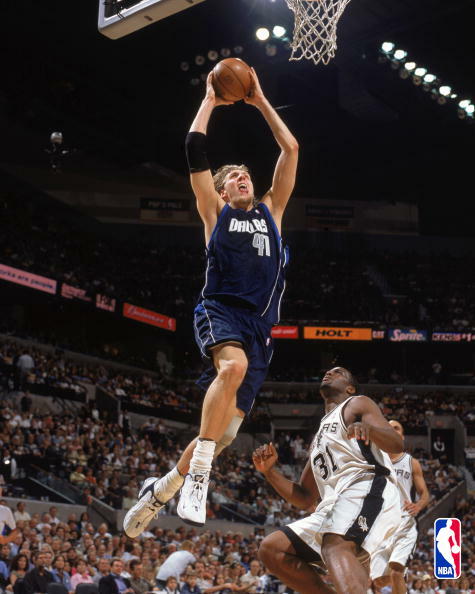 Along with Michael Finley and Dirk Nowitzki, Nash played a central role in sparking the Mavericks’ resurgence of the past decade. In 408 games over six seasons in Dallas, Nash averaged 14.6 ppg and 7.2 apg and still ranks in the top five in points and assists among Mavericks guards. Nash’s last four seasons in Dallas were his best, as he averaged 16.5 ppg and 7.8 apg, earned a pair of All-Star selections and helped lead the Mavs to an average of 55.5 wins per season and the 2003 Western Conference Finals. Based on recent history, I really expected to be entering Steve Nash’s name at the top of this section. However, it’s important to remember that in Dallas, Nash was not an irreplaceable superstar and multiple MVP winner. He was “just” a very good player. Based on a pair of extremely similar resumes and the fact that Nash really blew up after leaving Dallas, another choice emerged. After spending his prime years in Dallas and helping the Mavs reach prominence for the first time, Derek Harper gets the nod here. A first-round pick (#11 overall) in 1983, Harper wasn’t immediately asked to shoulder a huge load. By the 1986-87 season, he’d emerged as one of the league’s top PGs and arguably the best lead guard of his era not to be named to an All-Star team. In 11+ seasons with the Mavericks, Harper’s teams reached the playoffs six times, advanced past the first round three times and made the franchise’s first-ever appearance in the conference finals. Individually, Harper averaged at least 16 ppg in each of the seven seasons from 1986-87 through 1992-93, and handed out at least 7 apg in the first five years of that stretch. Also, among Mavs’ guards, Harper’s the all-time leader in assists (5,111), steals (1,551) and blocks (271). He ranks second in points (12,597), and rebounds (2,232), and third in games played (872). Worthy of a mention here is the Mavs’ long-time leader in games played (until last season), Brad Davis, who was with franchise for its first dozen years and was the team’s primary PG until Derek Harper’s emergence in 1985. Despite some pretty pedestrian averages (8.6 ppg, 5.1 apg in 883 games), Davis still ranks in the top three among Mavericks’ guards in points (7,623), assists (4,524) and steals (712). 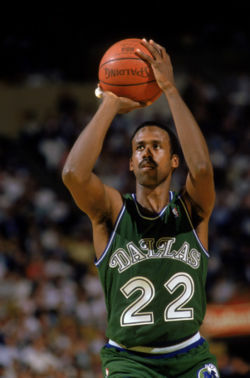 Until Dirk Nowitzki came along, Rolando Blackman was the best player in franchise history. With a fantastic mid-range jumper, Blackman was quietly one of best two-guards in the NBA during his 11 seasons with the Mavs. In the 1980s, he was selected to four All-Star teams, averaged less than 17.7 ppg just once (13.3 as a rookie in 1981-82), regularly shot 47% or better from the field and 85%+ from the free throw line. Blackman’s the Mavs’ all-time leader in points scored by a backcourt player, with 16,643. He also held the franchise’s scoring record for 18 years, until it was broken by Dirk Nowitzki in March 2008. 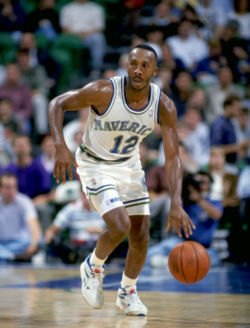 Like Derek Harper, Blackman played a key role in the Mavs’ emergence in the 1980s, reaching the postseason six times and the 1988 conference finals. Before going on to suit up for a staggering 13 teams, Jimmy Jackson started his career during the lean years of the 1990s and still holds the top scoring average among Mavs’ guards (19.6 ppg in 289 games) and is second in rebounds (4.9 rpg). With that said, even if Rolando Blackman had boasted lesser credentials, Jackson probably wouldn’t have stood a chance, given the fact that he played more than 51 games in season just twice in Dallas- for a series of teams that won a whopping 110 games in five seasons. More recently, Jason Terry has provided the Mavs with a fantastic spark off of the bench, averaging 16.2 ppg and 4.2 apg in just over 33 minutes over his 397 games. Terry has been one of the franchise’s toughest players over the past decade, and took home the 2009 Sixth Man of the Year award, after averaging 19.6 points and 3.4 assists in 74 games. The first overall pick in the 1981 draft. Aguirre was the best of the pre-Cuban Mavs and first star player in franchise history. A 6’6”- 230 “power small forward,” Aguirre was the centerpiece of the loaded Mavs’ teams of the 1980s and one of the best forwards of the decade. Prior to being dealt to the Pistons in exchange for Adrian Dantley, Aguirre led the Mavs to the playoffs five times, including the aforementioned 1988 Western Conference Finals team. After a solid rookie season in which he averaged 18.7 ppg and 4.9 rpg, Aguirre put together a streak of six seasons in which he average at least 22.6 ppg and 5.3 rpg. In four of those seasons Aguirre averaged 25+ ppg- including a career-high 29.5 in 1983-84 - and was named an All-Star three times. Aguirre still holds three of the Mavs’ top five single-season point totals, and his 2,330 points in 1983-84 remains the franchise record. In his seven and a half seasons with the Mavs, Aguirre scored 13,930 points, and still ranks third in franchise history, behind Dirk Nowitzki (21,111) and Rolando Blackman (16,643). While Mark Aguirre was a pretty clear choice, this is a tough second place finish for Michael Finley, who was named to a pair of All-Star teams and averaged 19.8 ppg, 5.2 rpg and 3.8 apg in 626 games. Beyond the numbers, Finley was the first star of the Mark Cuban era and a central figure in the Mavericks’ return to prominence in the past decade. Unfortunately for one of the most important Mavericks’ players of the past quarter century, Finley was (in fairness to the team, understandably) waived for salary cap purposes in the 2005 offseason. The following season brought the Mavs’ 2006 Finals run, in which they knocked off the San Antonio Spurs- Finley’s new team- in a classic seven-game conference semifinal series. Undoubtedly the best player in Mavs’ history and the non-billionaire face of the franchise- a pair of titles he’s likely to hang on to for years to come. After being drafted by the Milwaukee Bucks and dealt to Dallas, every minute that Dirk Nowitzki’s spent on an NBA floor has been as a Maverick- and he’s unlikely to ever suit up for another team. Now 12 seasons in, Dirk’s the Mavs’ all-time leader in games played, points, field goals attempted and made, free throws attempted and made, 3-pointers attempted and made and rebounds (by more than 3,000!). In addition, he ranks second in both steals and blocked shots. Despite comparisons to other big men in history with strong perimeter games, Nowitzki’s one of the most unique. He’s an absolute nightmare matchup. A legit seven-footer with career FG-FT-3-pt percentages of 47- 88- 38 that can also rebound and dribble. Read that last sentence again. After a tough rookie year, Dirk found his footing as a sophomore (17.5 ppg, 6.5 rpg), and in the ten years since has put together an exceptional 10-year run, during which he’s averaged 24.4 ppg and 9 rpg, with five seasons of 25+ ppg. During that same 10-year run, Nowitzki’s made 10 trips to the All-Star game, been selected to the All-NBA 1st and 2nd Team four times each, won the 2007 MVP award and led the Mavs to within 55 minutes of the 2006 championship. As good as Nowitzki’s been, and for all accolades he’s received, he’s still rarely recognized for having a resume as impressive as that of all but a select few in history. When Dirk ultimately retires, he will likely do so as one of the 25 greatest players in NBA history. Also worth noting here is Roy Tarpley. 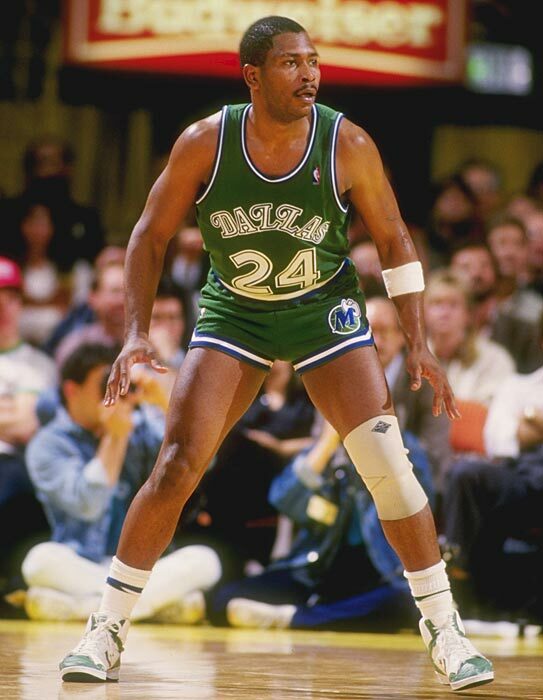 Before becoming the most notable player in league history to receive a lifetime ban for substance abuse, Tarpley was the seventh overall pick in the 1986 draft, a member of the 1987 All-Rookie Team and was named the 1988 Six Man of the Year. Now there’s an argument to be made that even had he not succumbed to drugs and alcohol, Tarpley’s career would have been hampered by injuries. But the fact remains that during his brief run, this guy was a stud (12.6- 10 in 280 games). At 6’11”- 230, Tarpley was an awesome athlete, filled the lane on the break and was a monster on the boards. While his truncated career was certainly a problem of his own creation, Roy Tarpley had the potential to be one of the best frontcourt players of his era. Not too much to work with here, so why not go with the only center in franchise history to be selected to an All-Star team? That’s right, folks, James Donaldson was an All-Star. He was selected to play in the 1988 game. That season, he averaged 7 ppg and 9.3 rpg- solid, but hardly the stuff of legend. Interestingly, Donaldson’s lone All-Star appearance came in his what may have been his worst statistical season in Dallas. He’d averaged a double-double (10.8 11.9) the previous year, and followed up his All-Star season with a 9.1- 10.8. James Donaldson was the man in the middle for some of the best teams in franchise history, including the loaded 1988 squad. He was truly a blue-collar player- not a world of talent and not terribly productive, but a hard worker on the glass and a big tough body in the lane. Donaldson was the best of an unspectacular lot, edging out Shawn Bradley (7 ppg, 5.7 rpg, 2.1 bpg in 582 games), Herb Williams (10.2- 5.7- 1.4 in 246 games) and Erick Dampier (6.6- 7.6- 1.3 in 369 games).